On Saturday, January 21, 2017, over 2.9 million people participated in the Women’s March worldwide. 6 writers for Daily Geekette were present in four different cities on the east coast. From pussycat hats and speeches to feminist icons and nerdy protest signs, read about our different Women’s March experiences. Okay. I’m taking a break from my NaNoWriMo novel to write about something a bit more pressing: the 2016 presidential election. It’s November 8th — election day — and I waited for forty-five minutes to vote this morning — the longest I have ever waited to vote. Line control was atrocious — if I didn’t have to immediately run out the door to get to work, I would have stayed and helped make a better system. But I digress — no number of lines is going to keep me from performing my right to vote. Ladies! Ever gotten frustrated because you needed to go somewhere, but you couldn’t drive your man’s car because it was too masculine? Worried about getting bulky arms from carrying all of your shopping bags home from the store , because you can’t be seen in an unfeminine ride? Wish you could be recognized as a girl AND be able to drive around? Well do we have the product for you? That’s right! Special thanks to BIC lady pens and pink power tools because now we have lady cars! As the only book in my Sci-fi classics post that I hadn’t actually read, Dune by Frank Herbert was at the top of my reading pile as I embarked on Sci-fi summer. While I cannot deny that the world-building is excellent and that it helped establish many tropes of its genre, I remained highly conscious of the complex and problematic depiction of women throughout my reading. August 26th annually marks the celebration of the ratification of the 19th Amendment, which granted women the right to vote in the United States. This year, we celebrate the 45th anniversary of Women’s Equality Day! When it comes to the Marvel films, most people have a good idea of who the characters are. However, as the MCU begins its next big phase, we as an audience are going to be introduced to a lot of new characters who are not going to get their own films to flesh them out. For viewers who have not read the comics, it can be confusing (and downright irritating when you meet those fans who have and are condescending about it). At the end of the day, you don’t have to read the comics to enjoy the films, or the Cinematic Universe as a whole. However, it can be helpful to know the comic origins of the characters who won’t be getting their own stand-alone films. Fortunately, I have read the comics and I have no qualms in helping my like-minded MCU fans fill in blanks and learn a little more about the characters they are seeing on the big screen. 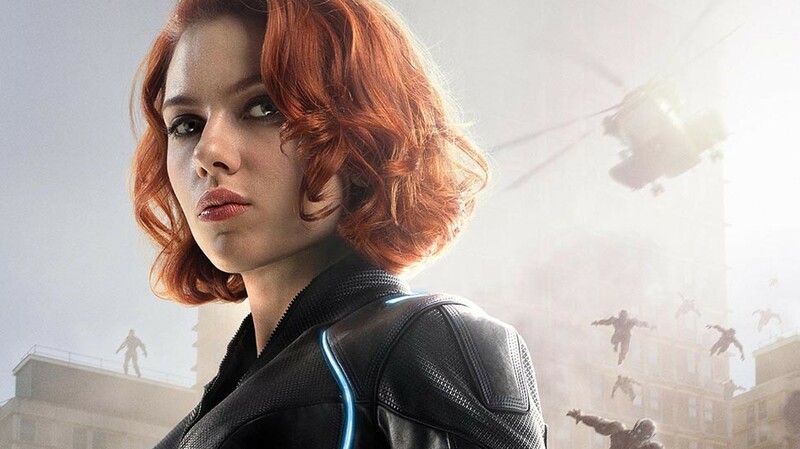 This week, we’re taking a look at the under-appreciated, always amazing, and deadlier than her namesake….The Black Widow! Like many fans who grew up loving Harry Potter, I was initially excited by the prospect of J.K. Rowling expanding that magical world to other places. In college I was excited about Pottermore in theory, but didn’t actually find the site that engaging after I was sorted, and I mostly waited for other fan sites to tell me if something exciting was posted. When the “History of Magic in North America” was posted in March, I didn’t pay attention until I saw some of the reactions from fans (including Native American fans) saying that there were serious issues with it. I was concerned, but I didn’t go and read them. Then the history of the founding of Ilvermorny School of Witchcraft and Wizardry was posted in late June, and this time I went and read it. I was not happy. Whether they be encountered through comics or cinema, superheroes have earned a permanent place in our hearts. However, it should come as no surprise that when it comes to racial diversity, representation is less than super. Don’t get me wrong, we’re slowly making progress with works such as Ms. Marvel and Silk as well as the casting of non-white actors in bigger roles. 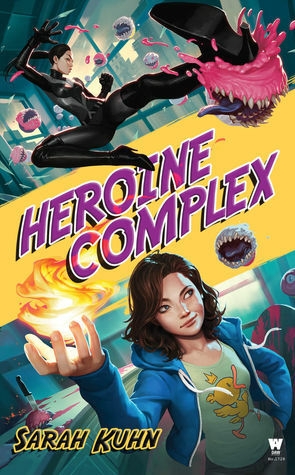 But it’s not every day that we meet a fully fleshed out Asian/Asian American character busting baddies or swinging through a city on spider webs in novel form. This is where Sarah Kuhn’s Heroine Complex comes in to save the day.